I saw this recipe in Woman’s Day and it caught my attention because of the wheat berries. I have never cooked with them before but I love expirimenting with new ingredients so I gave it a try. You have to soak the wheat berries overnight and they expand and become soft. The chili was slightly sweet with just the right amount of heat. I will definitley be making this again! 1.) Rinse and drain the wheat berries and place them in a 5-to 6-qt slow cooker. Add the carrots, onion, garlic, tomatoes, tomato purée, oregano, cumin, cayenne and ½ tsp salt; mix to combine. Cover and cook on low for 6 to 8 hours or on high for 4 to 5 hours. 2.) 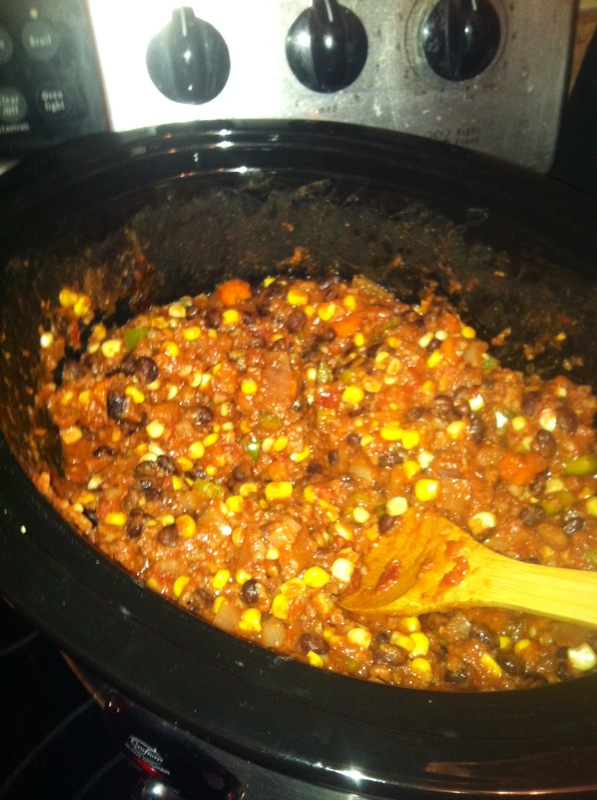 Stir in the beans, corn, bell pepper and hot sauce and cook until heated through, about 5 minutes. 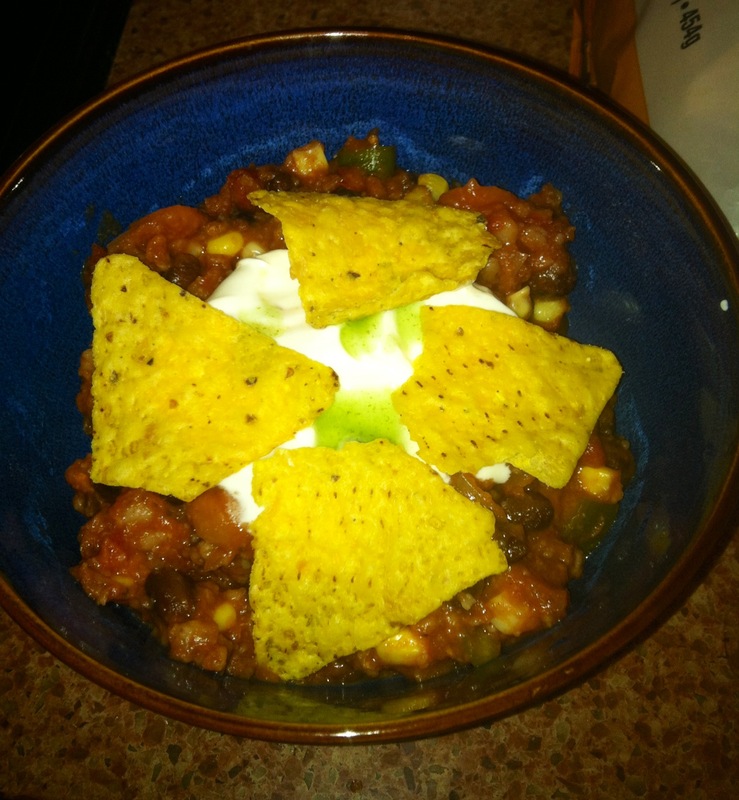 Serve with the sour cream, Cheddar, tortilla chips and additional hot sauce, if desired.